An historic site that embraces the season is the Crab Orchard Museum in Southwest Virginia. 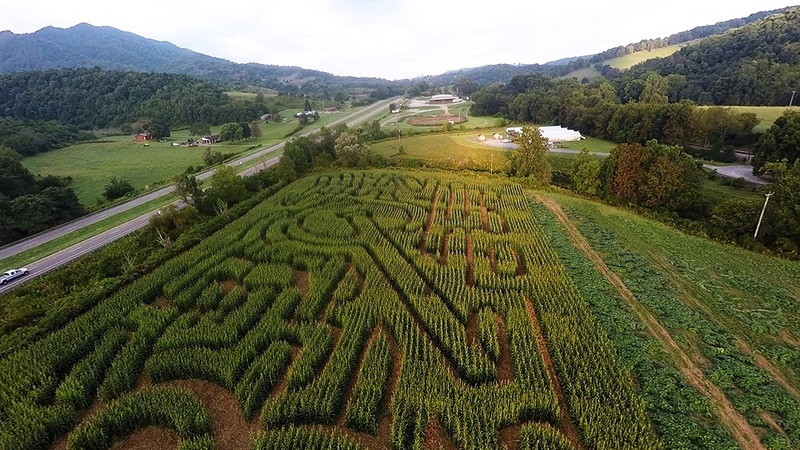 Their annual three-acre corn maze depicts a new theme every fall, and in 2017, the corn maze design pays tribute to the history of mountain music. After you solve the maze, take a ride around the property on a hay wagon, then tour the museum to check out important artifacts that tell the story of Virginia’s history. On Friday and Saturday evenings, bring along your flashlights and solve the maze in the dark. But don’t worry, the maze is all about fun, not fear; there is nothing spooky or haunted about these after-dark tours! 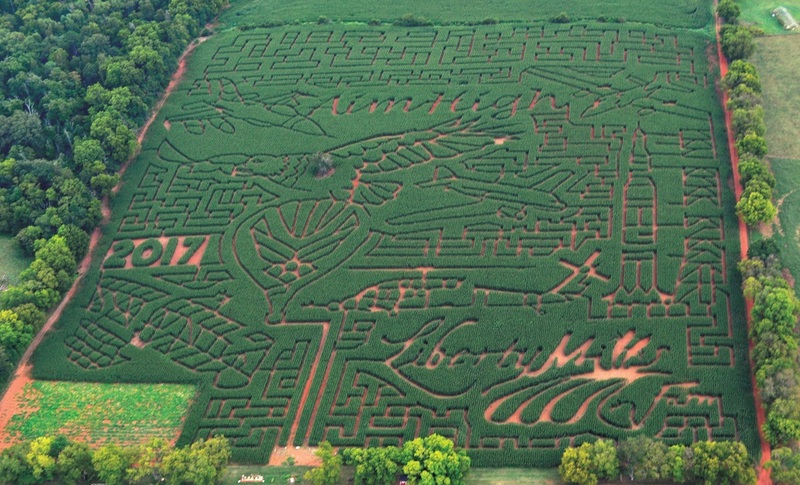 You’ll find both fall fun for the entire family and nail-biting Halloween scares at The Farmer’s Daughter Maze. 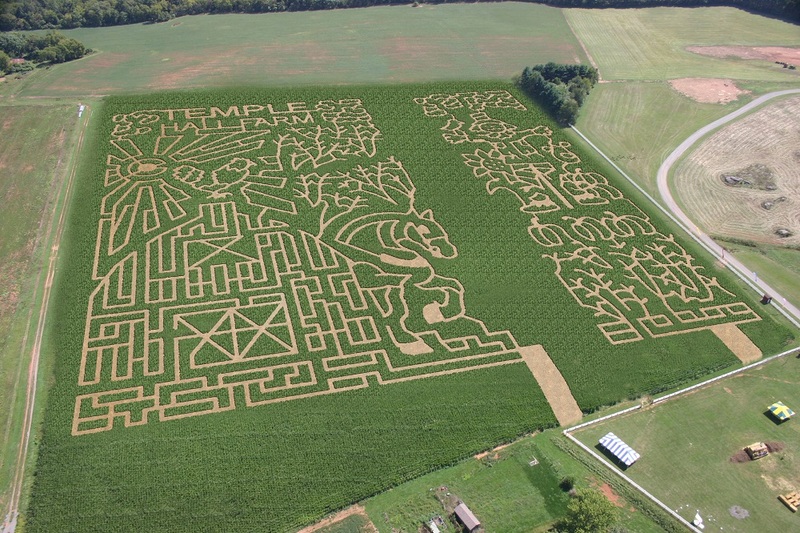 Visit with the kids and check out the 3.5-acre corn maze (always un-haunted! ), get hands-on in the animal petting area, and grab a seat on the wagon ride for a trip around the fields. If a haunted experience is more your speed, visit on Saturdays between October 7 and October 28. During these dark nights, you’ll scream your way through a wagon ride and a walk along creepy trails past old grain silos, finally escaping from the haunted barn filled with circus freaks. 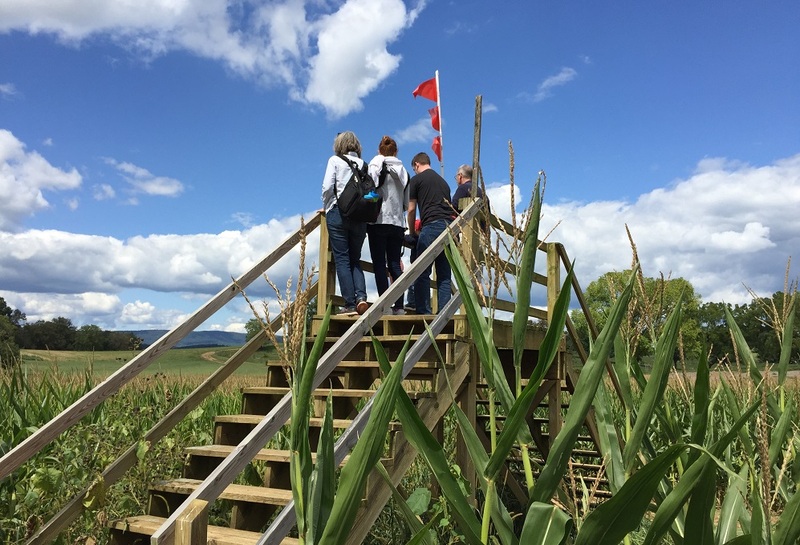 Harrisonburg’s Back Home on the Farm Corn Maze chooses a theme each year that relates to an important community focus. This year, they are using the theme of literacy to engage kids and increase interest in reading while also communicating the importance of literacy in long-term community success. Not only is the maze literacy-themed, but each weekend, the farm will host a story time at the maze for kids of all ages. 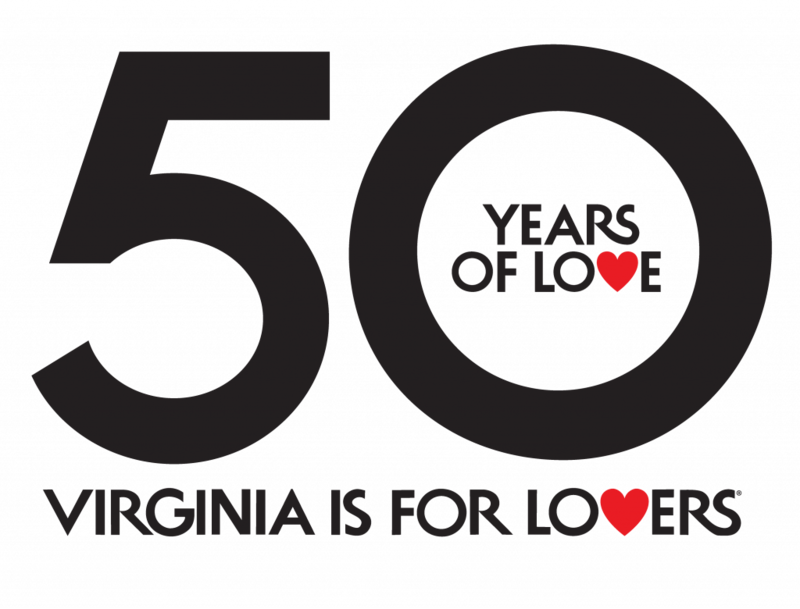 The fall event has over 25 additional activities for the kids to enjoy during their visit, including a carousel (featuring horses that represent a unique part of Virginia history), a cow train, pumpkin patch, pig races, a farm animal petting area, putt-putt golf, and a 60-foot slide.